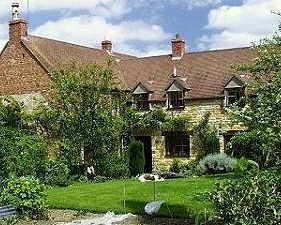 Bran Mill Cottage provides comfortable traditional accommodation in our North Cotswold country home. Between Moreton-in-Marsh and Chipping Campden; close to varied local attractions and foot and cycle paths. 3 bedrooms overlooking garden and farmland. 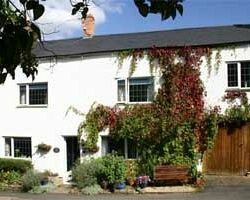 Homely comfortable 4 star cottage B&B in peaceful village 4 miles North of Moreton in Marsh. Ideal for touring the Cotswolds, Stratford upon Avon, Warwick Castle and Hidcote Gardens. Excellent food at nearby pub. Small dogs welcome by arrangement. Visit Shipston-on-Stour Warwickshire and the surrounding villages and stay in bed breakfast, hotel or holiday accommodation accommodation provided by BedPosts members. The town of Shipston-on-Stour in Warwickshire is a pleasant agricultural town in the Vale of Red Horse, midway between the two northern spurs of the Cotswolds hills and just ten miles from Stratford-upon-Avon. Visit Saint Edmund church dating back to 15th century. In olden days the town's prosperity was based on the wool trade. Today it's a popular tourist destination amongst people coming to bask in the history and enjoy the pubs and restaurants and shops. From Shipston-on-Stour head north-west through the village of Ilmington to the highest point in the county, Ilmington Down (854 ft.), with a splendid view, including the isolated Meon Hill, crowned by neolithic earthworks. 4 miles east of the Shipston-on-Stour, is the little village of Lower Brailes, where the church has an octagonal Gothic tower so imposing that it is known as “the Cathedral of the Feldon”. If you seek accommodation near Shipston-on-Stour in Warwickshire you have come to the website of a “club” of providers who offer affordable quality accommodation around UK in hotels, bed and breakfasts, guesthouses, inns, and restaurants plus self-catering cottages and apartments .